This article applies to all versions of Kaspersky Endpoint Security 10 for Windows. 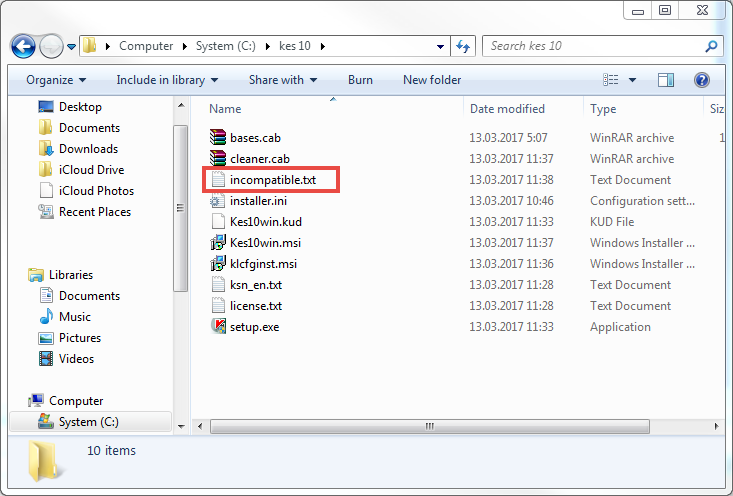 Click Remove manually in the Incompatible software window. Remove a third-party antivirus solution using default tools of Microsoft Windows. For instructions, see this article. Use a removal tool for incompatible applications. Removal utilities can be downloaded from our website. Download a removal tool of an antivirus solution from the vendor's website. Use a third-party removal tool. 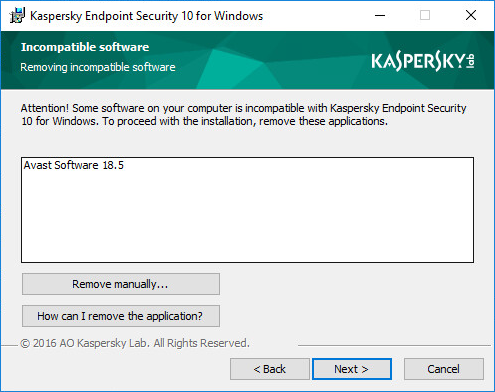 Open the article List of applications incompatible with Kaspersky Endpoint Security 10 for Windows.